1337099732 -Coupling in-depth coverage of essential theory with practical applications, Madura’s INTERNATIONAL FINANCIAL MANAGEMENT, 13e, builds on the fundamental principles of corporate finance to provide the timely information and contemporary insights you need to prosper in today’s global business environment. 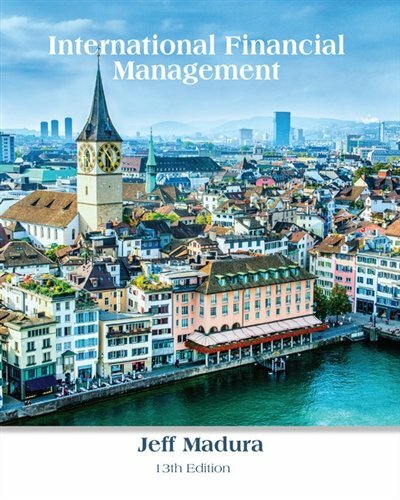 This best-seller introduces international finance with a focus on the important role that modern multinational corporations play in global commerce and discusses a wide range of managerial topics using a strong corporate perspective. Clear explanations, real-world applications, relevant examples, self-tests, and hands-on applications help you maximize your course success. In addition, MindTap Finance enables you to connect with your instructor, organize coursework, and access a range of study tools, including an e-book and apps — all in one place.